Please see below for a selection of national, international and local information. 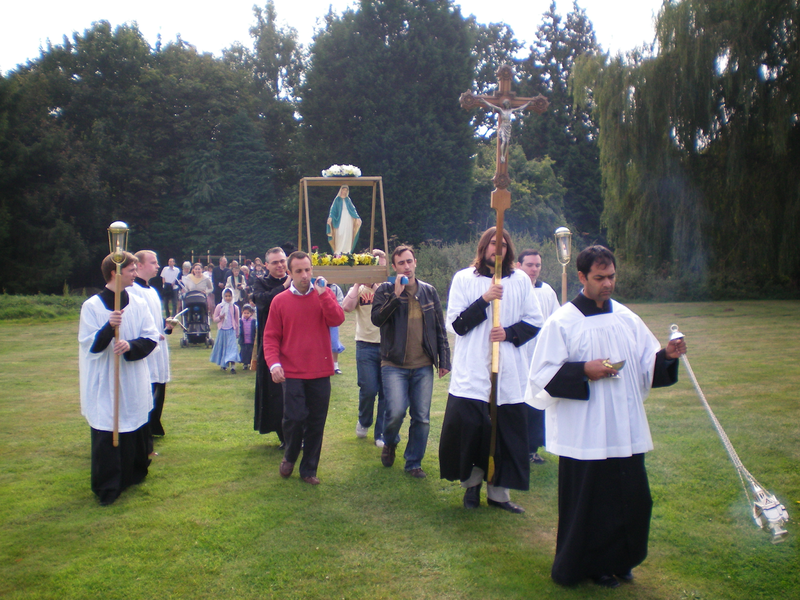 If you have any information about traditional Catholic events, which would be suitable for young adults please e-mail youngcatholicadults@googlemail.com giving a brief description of the nature of the activities involved. Starts May 4 (and 1 June, 6 July, 3 Aug, Sept 7, Oct 5) - organised by Chelt YCA and Eccesia et Fide (open to all ages) First Five Saturday Devotions at Sacred Hearts Church, Cheltenham, GL53 9AU.See:- http://youngcatholicadults-latestnews.blogspot.com/ for more details. 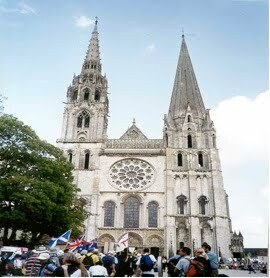 June 7 - Chartres Pilgrimmage organised by Francis Carey - 5 bursaries courtesy of the LMS available for ages 18-35 only - see https://lms.org.uk/blog/pilgrimage-chartres-lms-bursaries. Sept 14 - Rosary of Reparation for the Lapsed (organised by YCA but open to all ages). See:- http://youngcatholicadults-latestnews.blogspot.com/ for more details. Aug 24 - St. John Kemble Pilgrimmage - National YCA and Eccesia et Fide (open to all ages) - TBC. See http://youngcatholicadults-latestnews.blogspot.com/ for more details. Oct 25-27 - National YCA Event 2019 (open to ages 18-40 only) - National Young Catholic Adults Weekend at Douai Abbey. See:- http://www.youngcatholicadults.co.uk/; or see:-http://youngcatholicadults-latestnews.blogspot.com/ for more details. 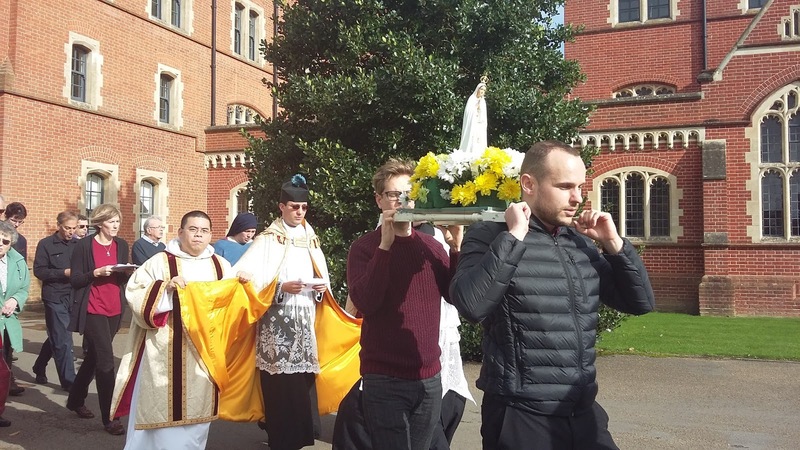 During the weekend of the 25-27 October 2019, Young Catholic Adults will be running a retreat at Douai Abbey in 2019. The weekend will be full-board. 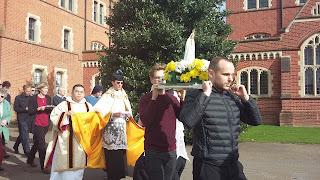 YCA will be running the weekend with the Schola Gregoriana of Cambridge who will be holding Gregorian Chant workshops.There will also be a Marian Procession, Rosaries, Sung Masses, Confession and socials. All Masses will be celebrated in the Extraordinary form.Please note to guarantee your place this year Douai Abbey have requested that everyone books in 3 weeks before the start of the weekend. Organisation for the 35th Pilgrimage of Notre Dame de Chretiente (the 24th undertaken by British Chapters) is well underway. *Chelt YCA and Eccesia et Fide Event (open to all ages) First Five Saturday Devotions at Sacred Hearts Church, Cheltenham, GL53 9AU.See:- http://youngcatholicadults-latestnews.blogspot.com/ for more details. Please see http://cheltenhamcatholicadults.blogspot.co.uk/ for more info. Or text Damian Barker on 07909 105787. Meeting for young adults 18-35 years, which meets on the Thursday nearest the 20th of the month at 8pm at St. Wilfrid's Hall at Brompton Oratory, Brompton Road, London SW7 2RP. Or telephone 0207 808 0900. For information on how to get to the Oratory click here. For young Catholic adults in the Bristol area, the Twenties and Thirties group meets regularly at the Channings pub on Pembroke Road in Clifton, from 7pm on Sundays and for other spiritual and social events e.g. pub nights, meals, the cinema and prayer meetings. If you'd like more info or to join our mailing list please email TNTClifton@gmail.com.